I've had a major influx of products pass over my desk the past few days, on top of the box of items I already have waiting for their moment in the spotlight. You know what that means? Clean up time! I don't know how other bloggers like to organize for upcoming posts, but I like to take batches of photos at once, organize them into separate files and store those in one big 'To Blog' file. That way, when I set out to 'work' (whether that be editing photos, or prepping a post) everything is there waiting for me. It's a great system, for the most part... Sometimes products get left behind. New exciting items get pushed up and others are left to gather virtual dust. From time to time, I abandon such items, their time has passed, but that's mean, and I end up feeling bad about. Today brings us one of the dust collectors. I've had these photos for almost a year now, and while I do love the product, they just got overlooked. Anyhow, let's take a look! 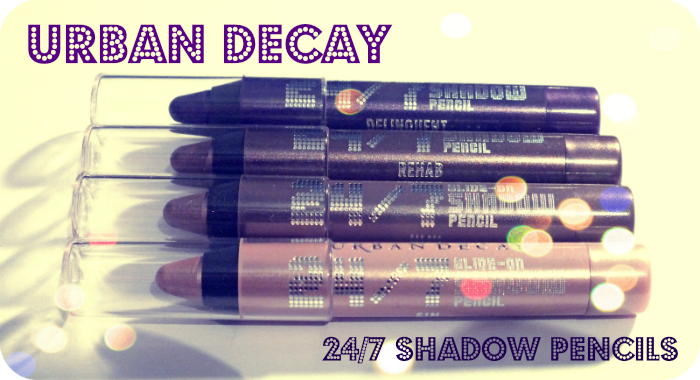 'Big and blendable, this 2-in-1 waterproof 24/7 shadow pencil keeps going as long as you do. 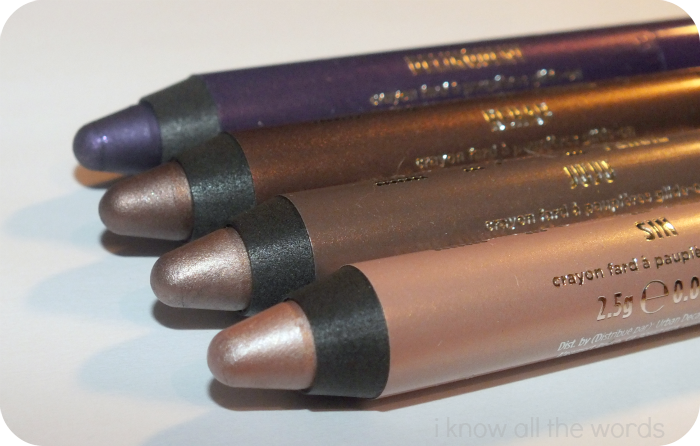 Our next generation of famous 24/7 pencils can be used as eyeshadow, eyeliner, or both! I used to avoid the bulk of cream shadows/liners. You know why.... You just never know if you're going to get something that will 'set'. It's incredibly annoying to get a beautiful cream eye product and then find that it stays creamy and ends up being a creasing, smudging mess. You can feel secure with UD though. Much like their skinny counter parts- the Urban Decay 24/7 Glide On Eye Pencil, these are incredibly smooth, pigmented, and set to a budge proof finish. LOVE! Sin is a light, pink tinged beige with a slightly frosted sheen. I initially wondered how much I'd use this as I am a fan of the powder shadow version, but I'm a total convert! I use this pencil almost everyday. It's a must have shade, as it brightens eyes beautifully and works well as an all over shade when you're in a hurry, or as a highlight. Perfection in a pencil! Juju is a medium taupe like shade- I say taupe like, because it leans more brown based- with a frosted sheen. This shade is also useful when you just want a fast, brightening wash of colour. Rehab is a deeper brown shade with just a smidge of taupe and copper. 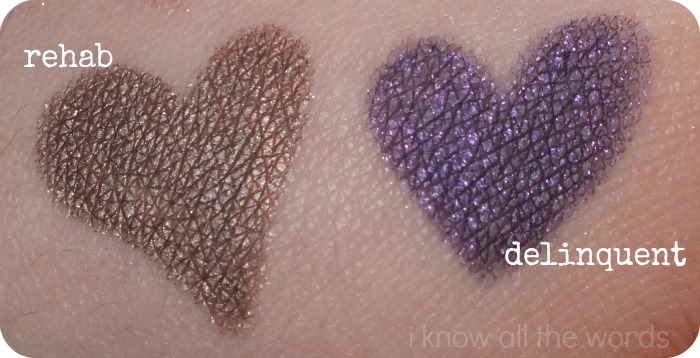 Delinquent is a deep purple with brighter purple shimmer. Overall, I am a major fan of these shadows. At $20 a pop they do seem a bit pricey, but if you choose a neutral shade, like Sin, I love Sin, you'll use it so much you won't know how you ever lived without it! Have you tried these? Thoughts?